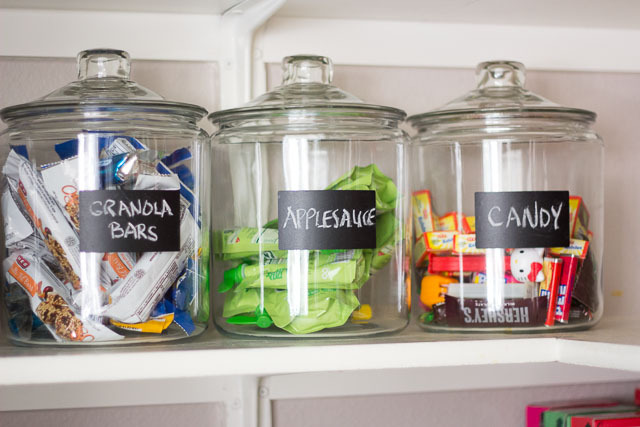 Your kitchen pantry is an an important part of the home. 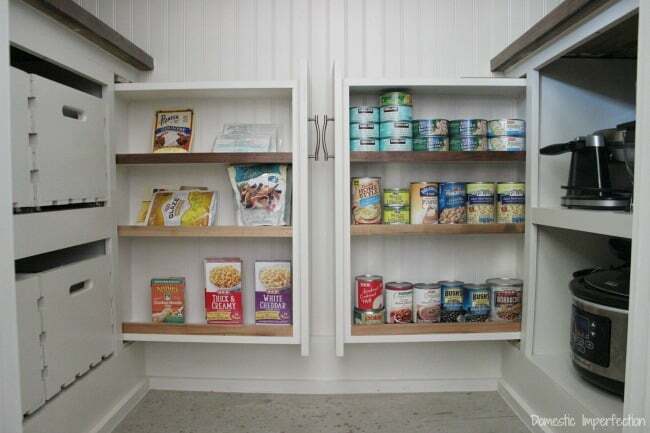 Keep things ordered in the pantry will help keep the counters and cabinets clutter-free. We don’t have a big pantry so we have to work with the space that we have. Keeping all of the food, spices, and other stuff in there organized helps us save time, space, and money. 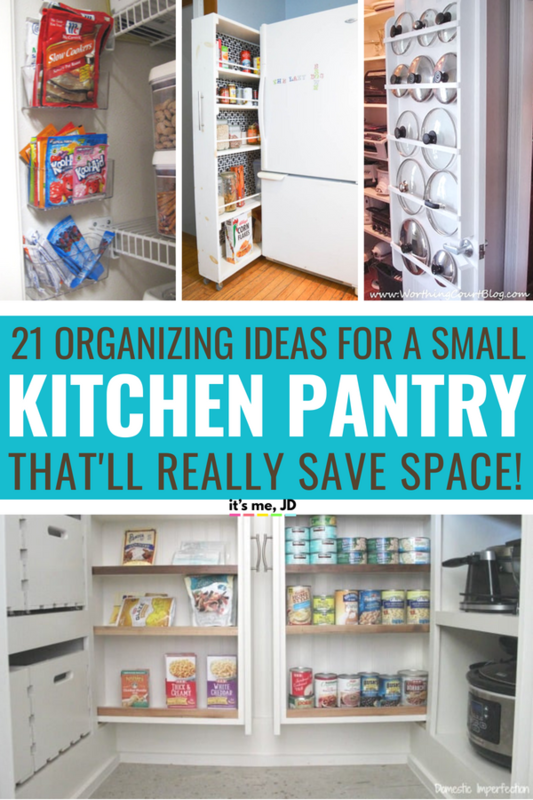 We have to get a little creative with our small space so I have rounded up some genius ideas for pantry organization. 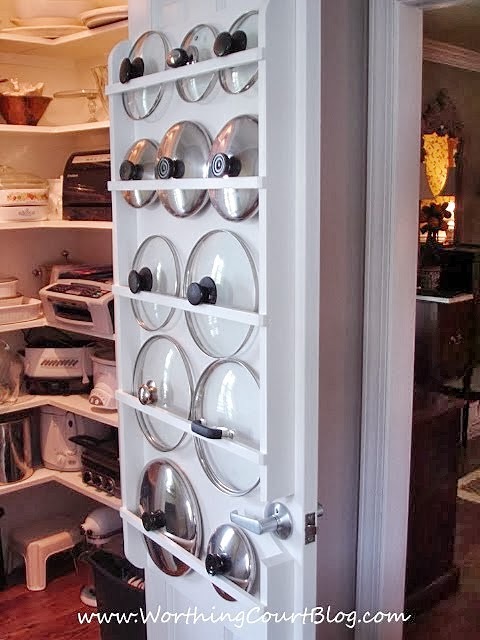 This gorgeous pantry features some vertical slide out drawers to hold cans and jars. 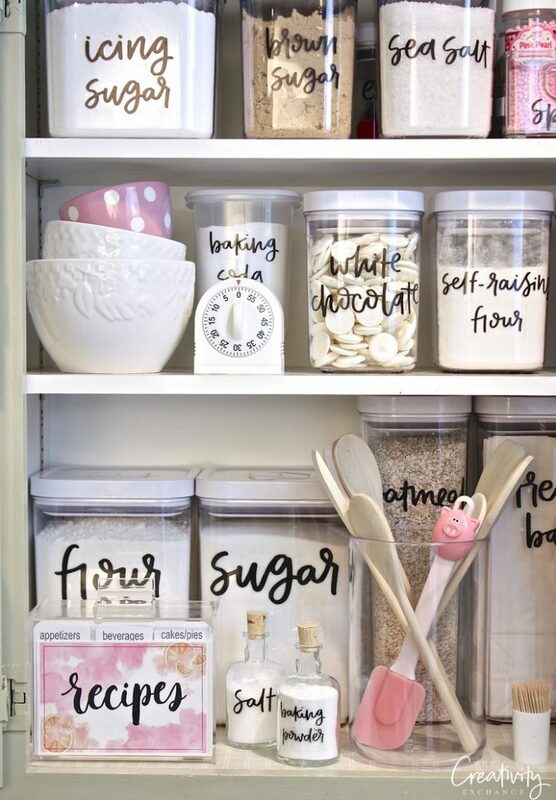 These beautiful hand lettered labels will make a pantry even more organized! How smart is this? Putting lids in the door saves a ton of space. 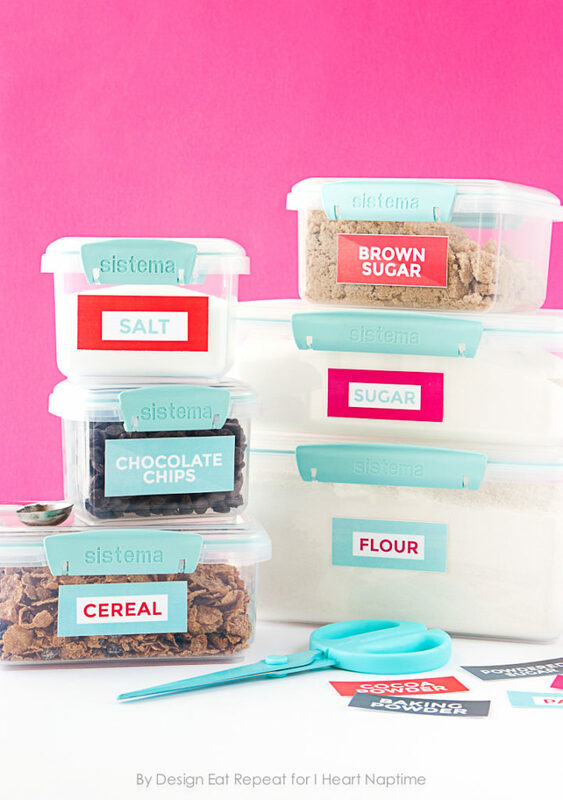 If you’re looking for a fun way to organize your kitchen pantry, these free printable pantry organization labels are at your service! 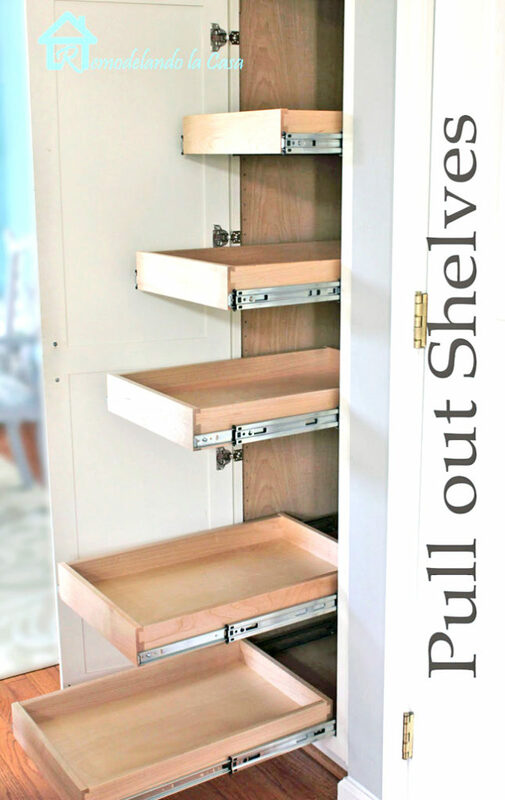 You can build these drawers to create even more space with these hidden compartments. This blogger used sink caddies to hold all of the spice packets. 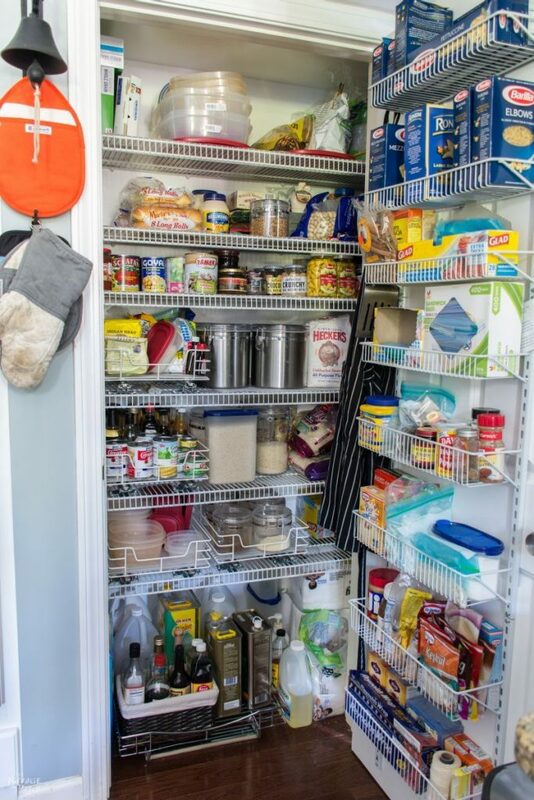 Your pantry can expand to other parts of the kitchen. Try this rolling cart next to the fridge to make use of excess space. There are few things nicer than a newly organized space. 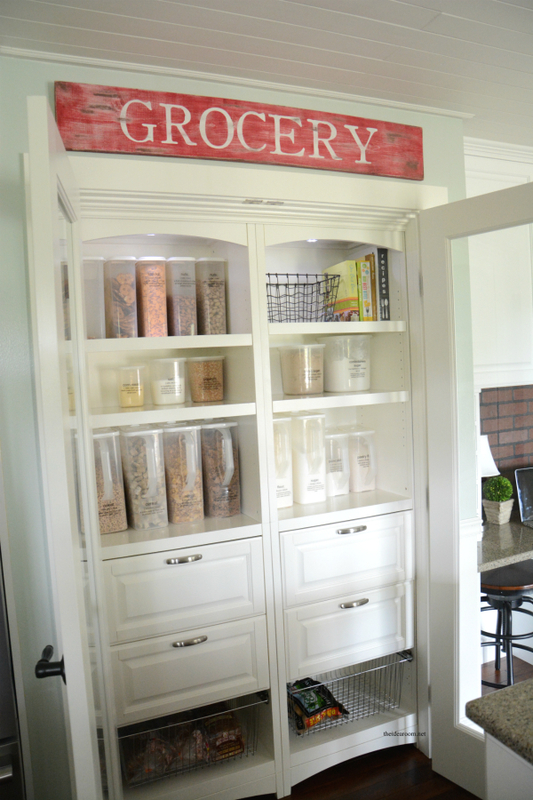 If you are looking for some pretty and practical farmhouse style pantry organization ideas this post is for you! 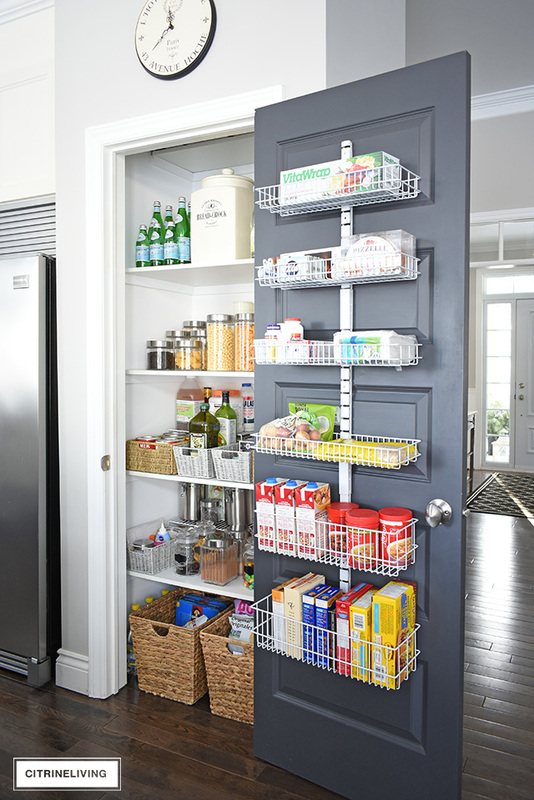 When your pantry is organized, it makes grocery shopping so much easier! 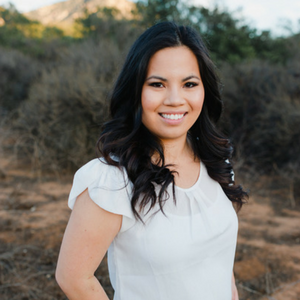 These tips will help you out! 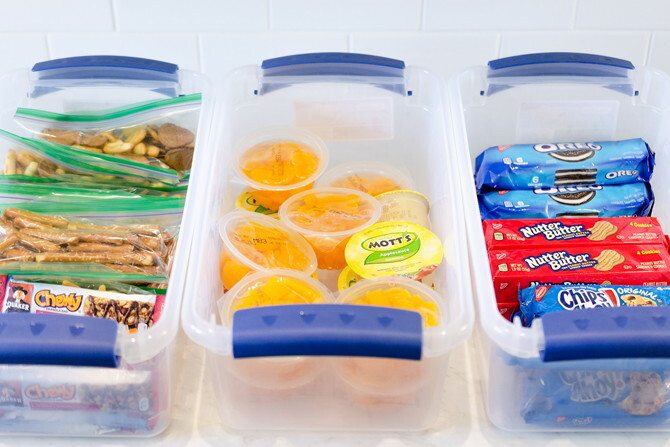 Store snack bins in the pantry for easy lunch making! 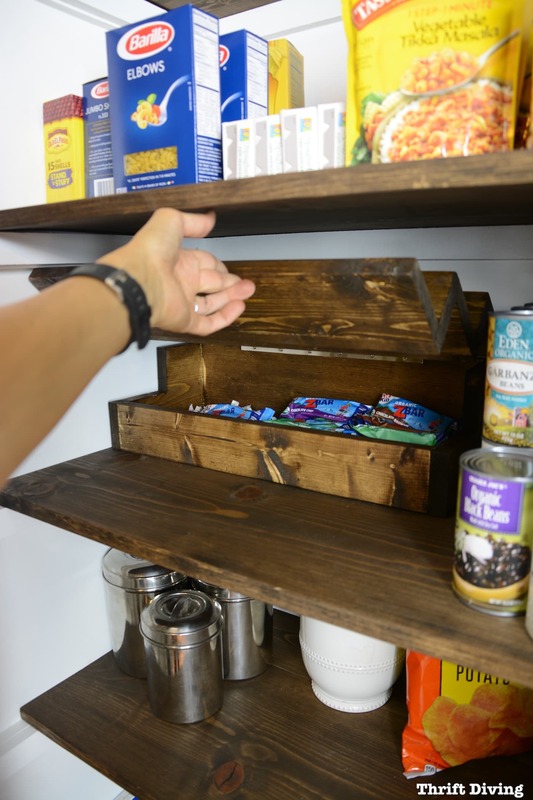 Pull out shelves make all the difference in your pantry – you might even find cans of food you forgot you had! 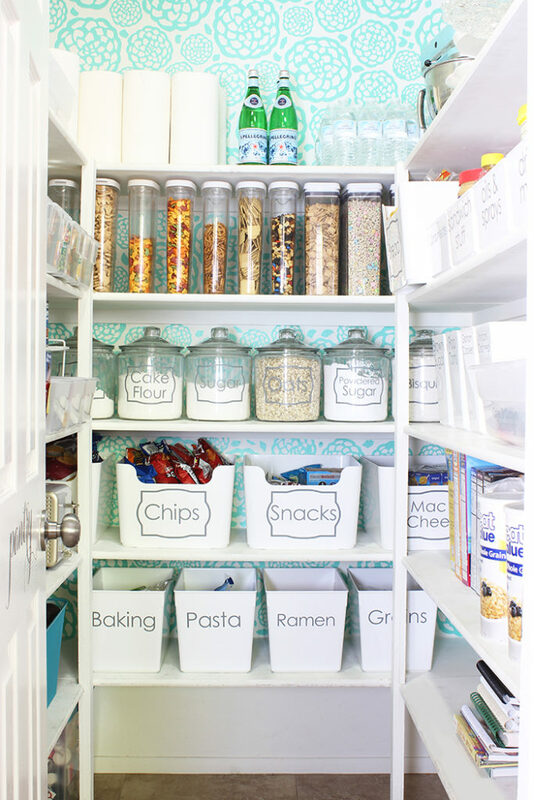 Use a mix of glass jars, plastic containers with pourable lids, baskets, and small risers/shelves for a super organized pantry! 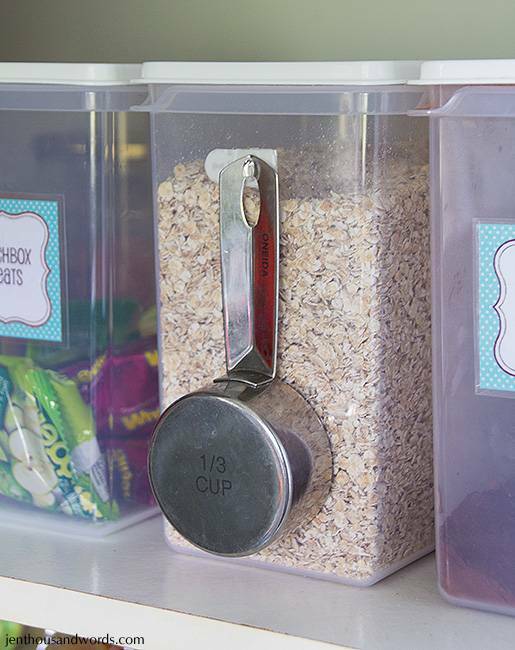 Hang your measuring cup on the side of the oats container with a little hook. 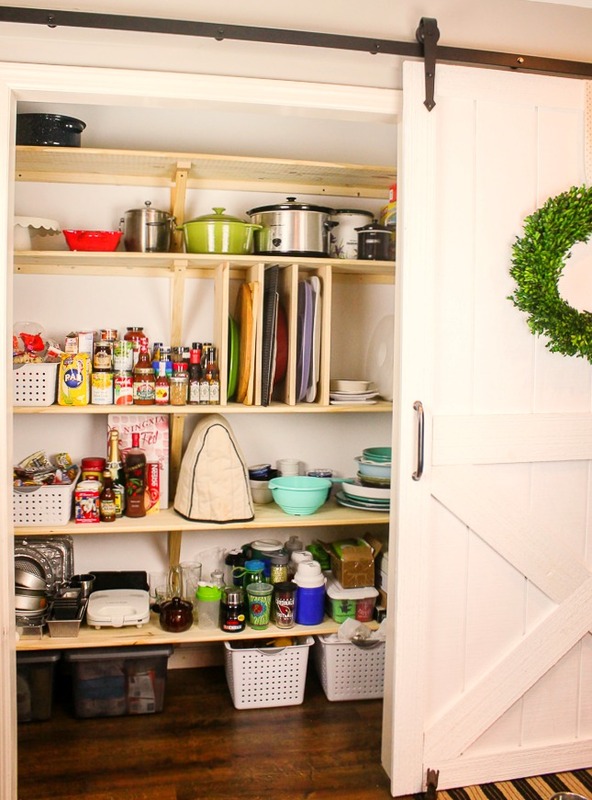 Changing out normal doors for french doors on your pantry can inspire organization since you’ll be able to see everything! 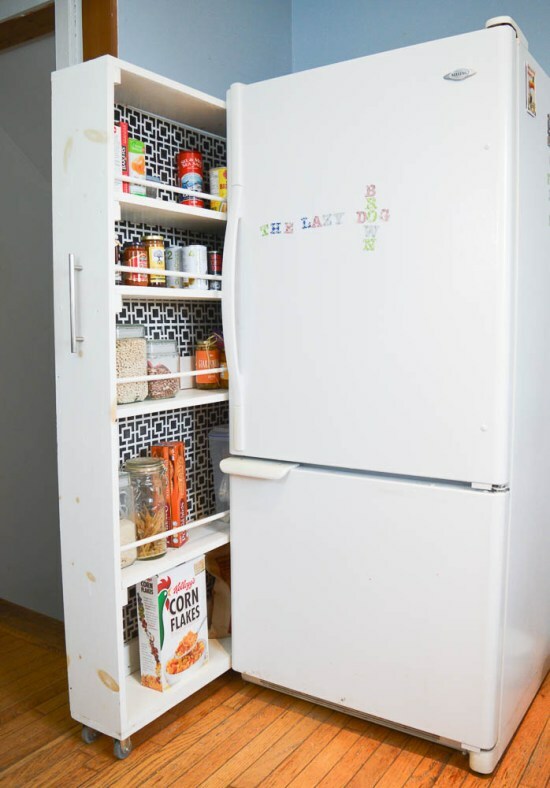 When you’re short on space and budget, adding storage to your doors is a great tool! 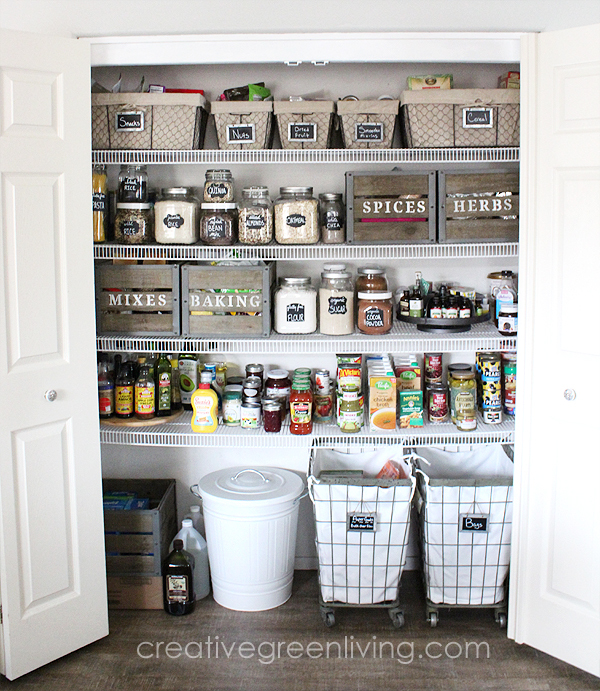 By mixing baskets and plastic bins, you get a perfect mix of organizing bliss! 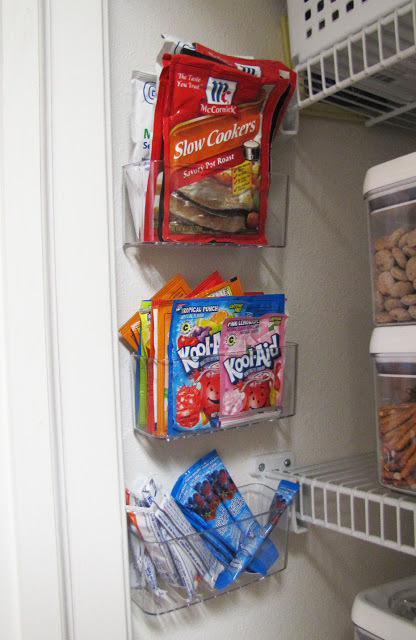 DIY your own vertical dividers on your pantry shelves for things like baking sheets and cutting boards. 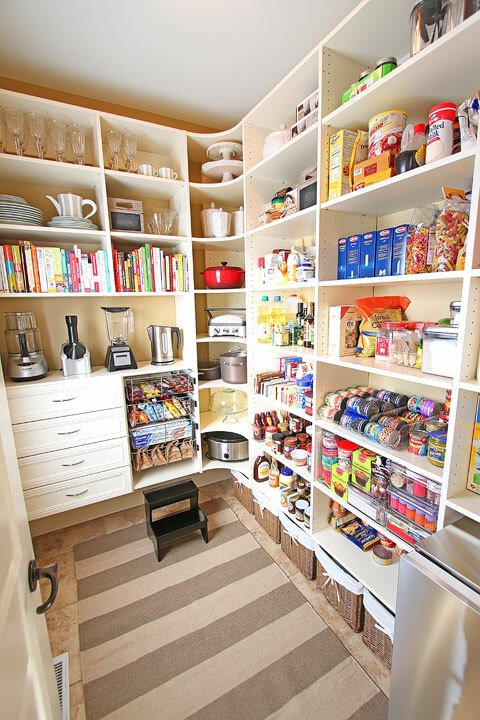 There are no words to explain the amount of love in this pantry. Everything that’s easy to see and grab and so neat and tidy! You never know what room you might have in your house that could have a different use! 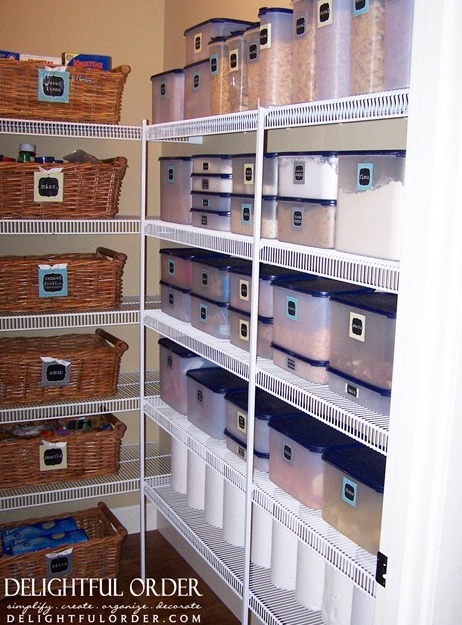 Reduce the need for bags/boxes and make everything in your pantry more organized and uniform. 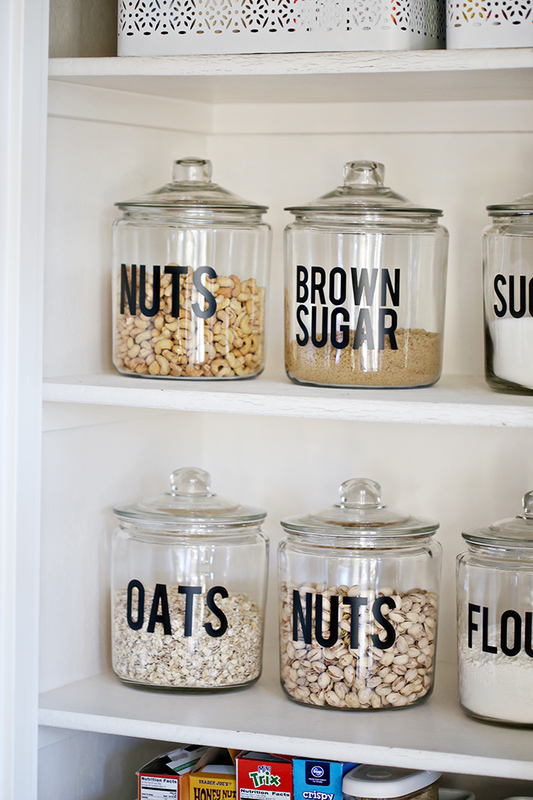 Add staples, such as flour and oats, to the jars, and it also helps you see when you’re running low. 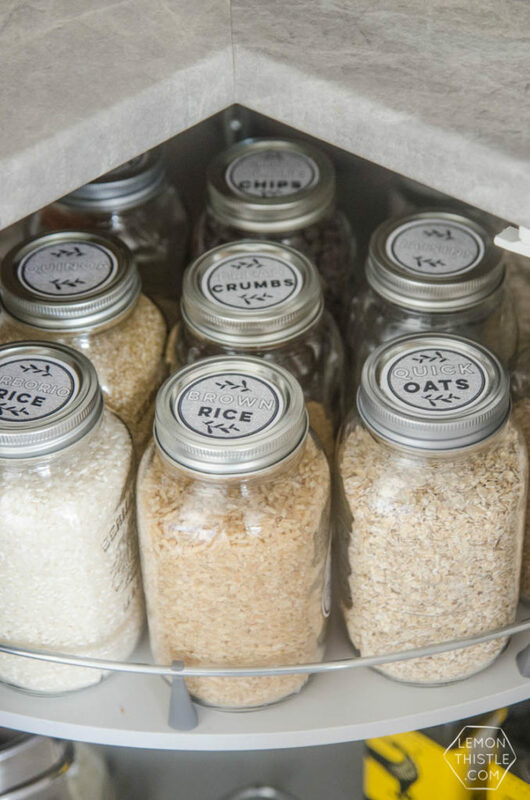 Mason Jars are great alternatives to expensive storage containers and look adorable with these lid labels. You can add hooks to the side of your pantry door to hang oven mitts, towels, aprons etc. Hanging them up will give you more drawer or shelf space.